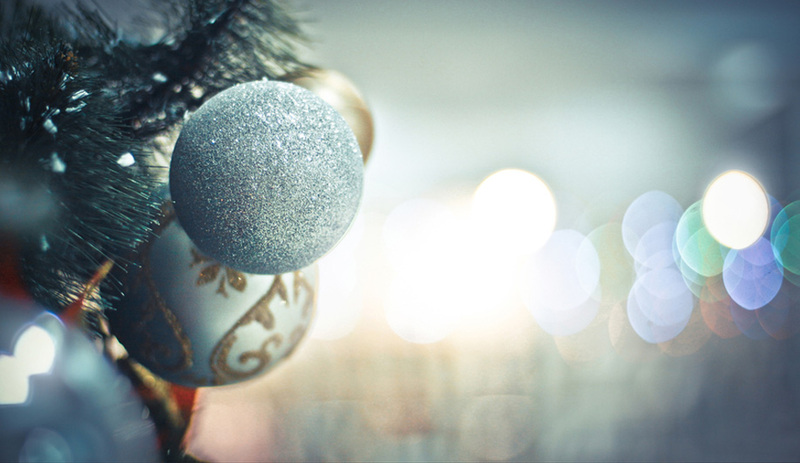 From the first bauble to the last pine cone, we’ll make all of your Christmas wishes come true. Christmas is a magical time of year but it can also be a busy one. 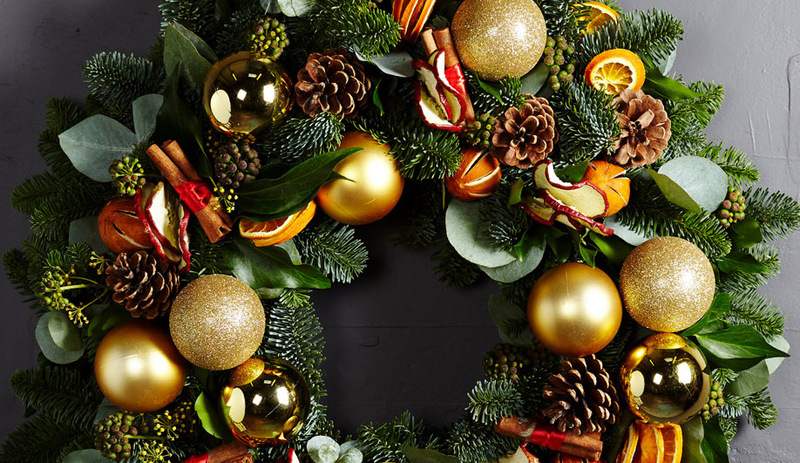 At Larry Walshe, we have experience in Christmas styling and can transform your home or business for everyone to enjoy throughout the festive season. Whether you are dreaming of a white Christmas or a fragrant & traditional wonderland, there’s no challenge too large for our team. From the first bauble to the last pine cone, we’ll make all of your Christmas wishes come true. To discuss how we can transform your space for Christmas, please get in touch. The real focal point at Christmas is of course the Christmas tree! Let Larry Walshe create a tree that adds a dash of festive flair to your home or workplace this year. 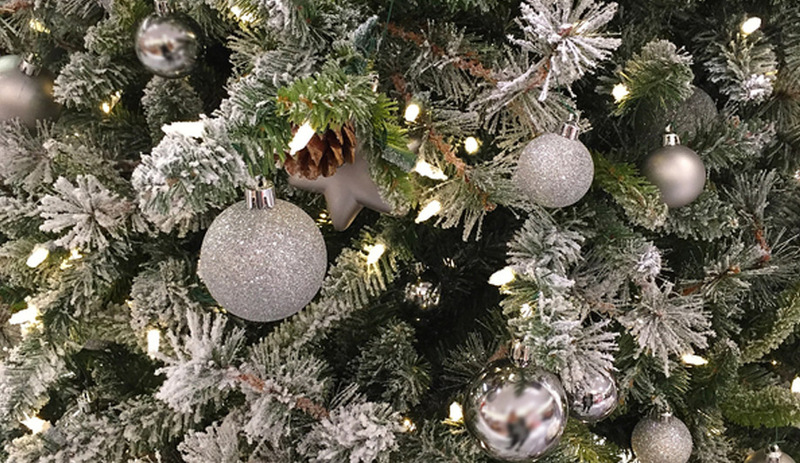 Our team of expert florists can design and install a Christmas tree brimming with baubles and lights, perfect for any setting or scheme. For each client, we custom-source all of our decorations to ensure they are perfect and personal to you. Christmas is the ideal opportunity to thank clients, staff, friends & family alike. We recognise the sublety that should be afforded to these gits and have created a selection of beautiful designs to represent your love and appreciation. Luxurious hand-tied winter bouquets, scented candles & exquisite Christmas wreaths are all packaged in our signature white boxes and avialable for nationwide next day delivery. We work with corporate clients throughout the fashion, retail and hospitality industries in London to create most fabulous and striking Christmas installations. Each bespoke design works with your brand identity to enhance your presence during the festive season and add a sprinkling of cheer to your clients & guests. Whether you would like to adorn your business with decorations that inspire and delight or create a dramatic design to the exterior of your building, our team of expert florists, led by creative director Larry Walshe, will work closely with you to realise your vision and ensure your business is the talk of tinsel town. Larry Walshe specialise in creating the most beautiful flowers for private parties & corporate events throughout London and the rest of the UK. Christmas is certainly no exception – we love nothing more than the excitement of transforming your celebration into an evening each of your guests will treasure. 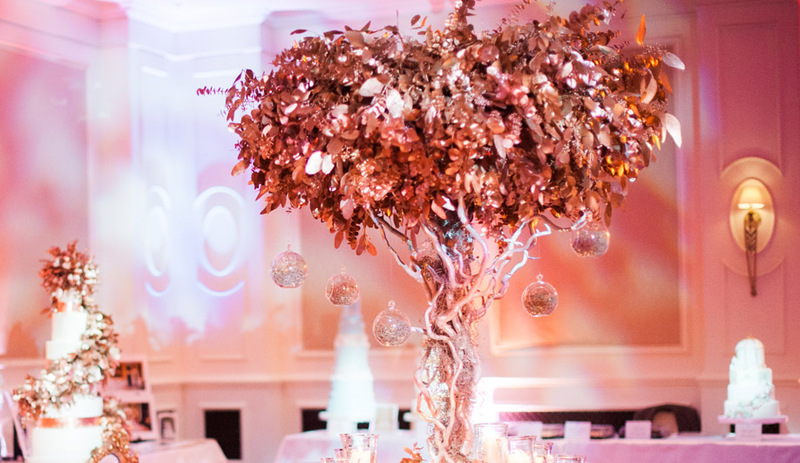 Whether you are looking to host an intimate and luxurious soiree or throw and fabulous company Christmas party, our team of talented florists will work closely with you to ensure your vision is realised in the most beautiful way possible.